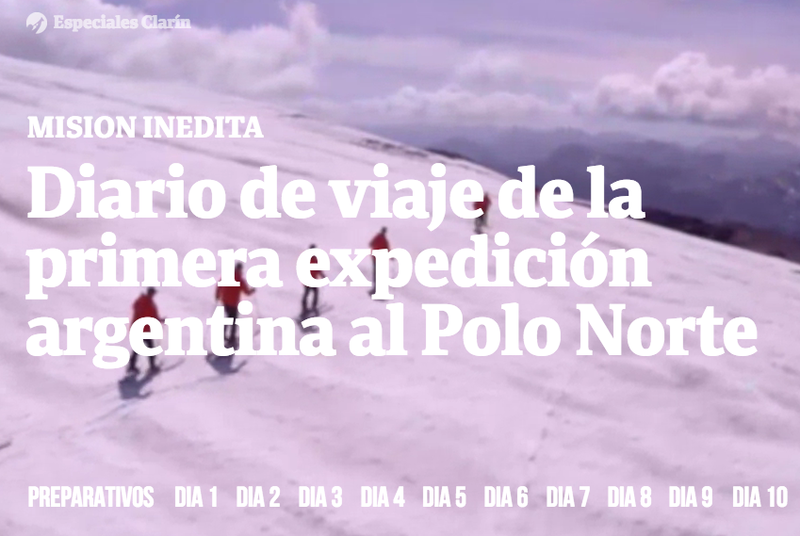 BRIEF: An Argentine feat: studying, organizing and planning an expedition that reaches the North Pole on skis deserves the title of feat. 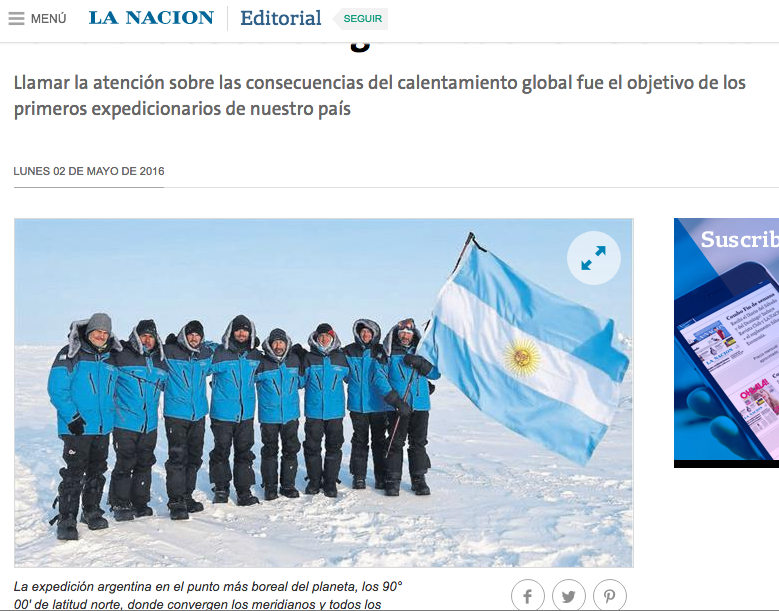 Starting from the Svalbard archipelago, in Norway, the 8 expedition members will continue to the Russian base Borneo, from there reach the North Pole, traveling about 110 km on skis from Barneo. 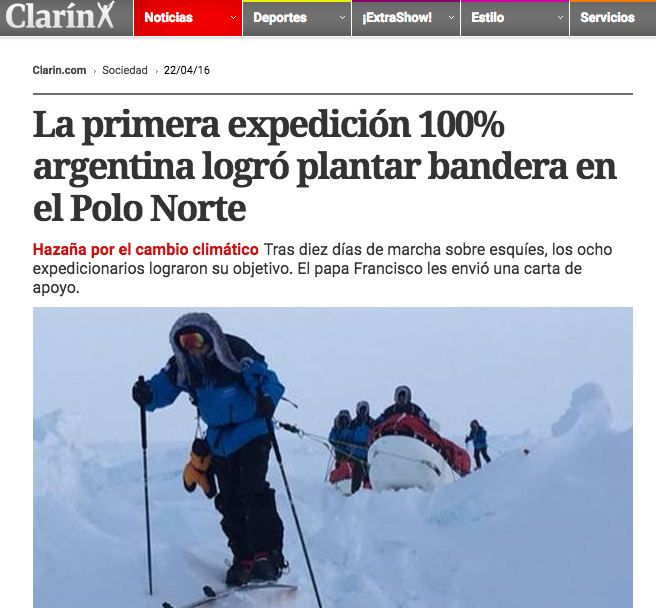 And once the goal is reached, plant the Argentine flag in one of the most inaccessible corners of the earth. 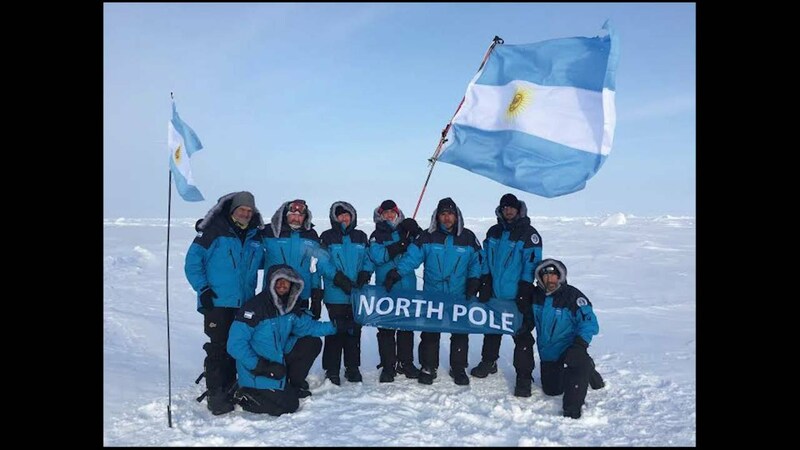 The expedition to the North Pole 2016 is the result, on the one hand, of a sense and an old desire to symbolically unite the two geographical poles of the Earth and, in particular, of the imperative need to attract the attention of the whole of the Society on the average problem environment: the care of the Earth and global warming, are circumstances that concern all the inhabitants of the planet. 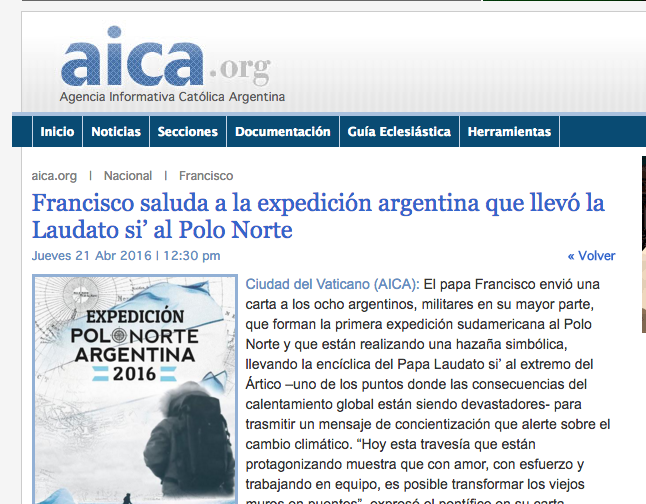 Branding, creation of a logo and visual identity of the project. 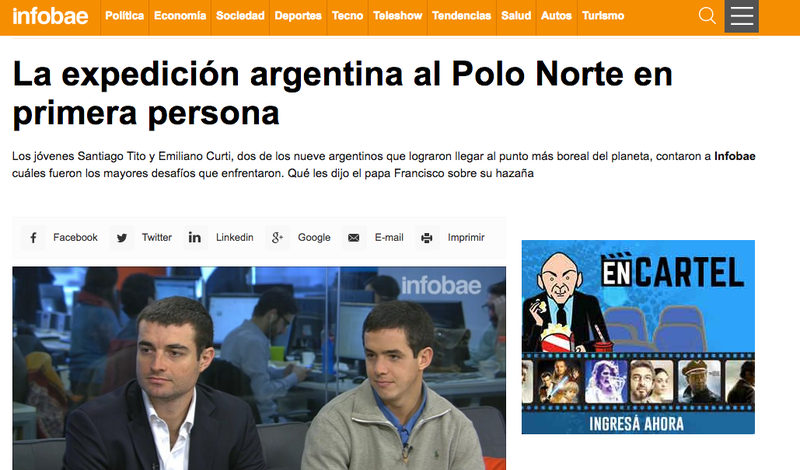 Creation of an informative website – www.argentinapolonorte.org – and profiles in the main social networks. 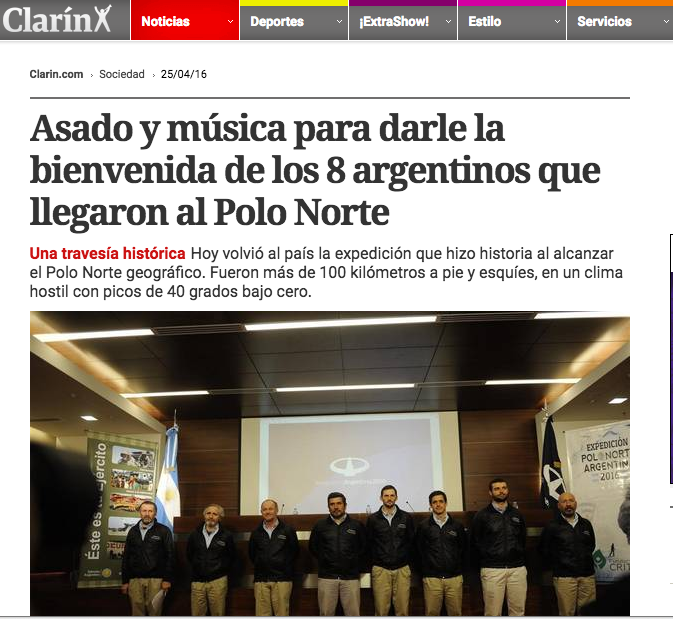 Press campaign with coverage of the previous stage, during and in different media such as La Nación, Clarín, Infobae, Perfil, Canal9, Telam and Rome Reports, among others.